Posted on 08/08/2013 Is the Owner of the Property at Fault if I Fall Down? I Fell Down on a Broken Sidewalk, Do I have a Case? Falls on a broken sidewalk are common. The owner or the city responsible for the sidewalk is required to maintain it and keep it safe. Cracked, broken and irregular sidewalks, uneven walkways and walking surfaces and bad ramps cause thousands of injuries every year. It is amazing so many of these dangerous surfaces go unrepaired in our state. They can be found practically anywhere: apartment complexes, condominium common areas, shopping centers, parking lots, motel or hotels, grocery stores, big-box stores, restaurants, gas or service stations, the list is endless. The business owner and property owners owe a duty of reasonable care to those lawfully on their property. This means they have a duty to keep the property reasonably safe. Once dangers are discovered, they must be repaired or warnings of their presence must be posted. Property owners and other people in control of the area may be held responsible if someone is injured as a result of the cracked sidewalks or other hazardous walkways. Floor hazards are particularly dangerous because they are difficult to see before someone steps into them and suffers a broken hip, knee fracture, wrist, ankle or back injury in a fall. Too often someone’s attention is diverted because of other visual distractions like a ringing cell phone in a purse, holding a child’s hand, pushing a shopping cart or simply looking at the merchandise in a store. They may also exist where there is not adequate lighting, thus making the danger even more difficult to perceive. There is little excuse for these hazards existence. They have been prohibited by a variety of codes for decades, including the Florida Building Code, Americans with Disabilities Act, Life Safety Code and local building codes. Changes in elevation as little as ¼” are governed by these codes and must be painted with a contrasting color or sloped so as to prevent creating a trip hazard. Broken or crushed sidewalks, unmarked drop-offs which are not as high as a standard curb, depressions in the ground and raised areas commonly caused by tree roots growing beneath a sidewalk slab can be deceivingly dangerous because they are difficult to detect and can easily cause someone to fall. All too often these defects exist because the property owner has failed to reasonably maintain the area. The law places the burden on the injured party of proving the defect had existed for a sufficient length of time that the premises owner should have been aware of its presence. This is often referred to as notice. Sometimes evidence of how and when the dangerous condition existed may be obtained from someone with direct knowledge, such as another customer, a resident who is familiar with the area, or even someone who previously complained about the condition. Generally, however, the injured person seldom has any idea of when the defect first came to be. Many times we will gather this evidence indirectly or circumstantially. For instance, the size of the defect, together with evidence of wear around it, can be a helpful indicator of how long it was present. 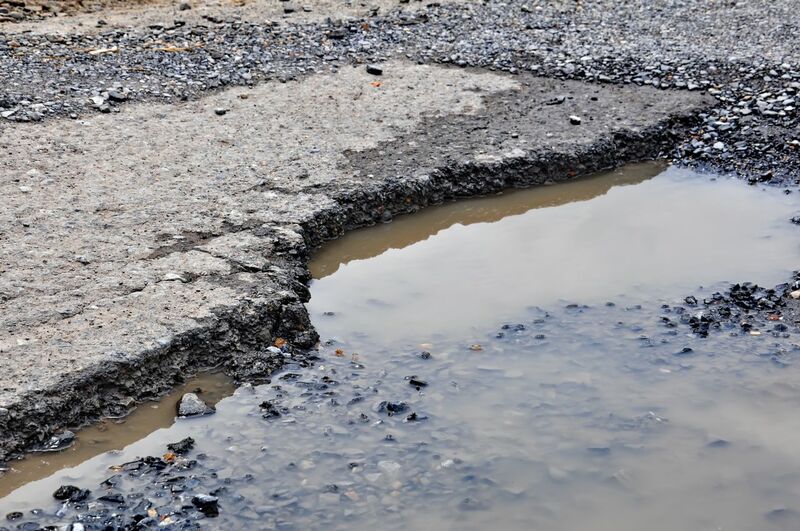 The condition of concrete, if it were a sidewalk or walkway, often gives an indication of its age from the amount rounding off of sharp edges, the general appearance of its age, as well as any debris found in and around the defect. That is why it is very important to obtain photographs of the defective condition at the earliest opportunity before it is repaired. Something that comes up often in these cases is the issue of after the fact repairs. In the legal world these are called ‘subsequent remedial measures.’ Evidence of any repairs or improvements to the dangerous condition after a fall or other injury cannot be used in court to prove negligence of the property owner. The logic behind this principle is that we, as a society, want to encourage landowners to make their properties safe. If someone is made aware of a danger but fears fixing it will hurt them in a lawsuit, someone else could be injured. That’s why this evidentiary rule exists. Falls, or premises liability cases, are some of the most difficult injury cases. Consistently we hear arguments that the danger should have been obvious to the victim but would have been very difficult for the property owner to find on an inspection. Many things that intuitively seem helpful in proving a case may not be admissible in court. Other evidence may be destroyed soon after the injury occurs. There are simply too many moving parts in the equation for someone without any experience to face the insurance companies alone. We have helped thousands of people in similar situations recover for their injuries. Contact our office to get a straightforward evaluation of your case and discuss your options with an attorney. Our consultations are always free and we never charge you a dime unless we are successful in getting you a settlement or a winning verdict.